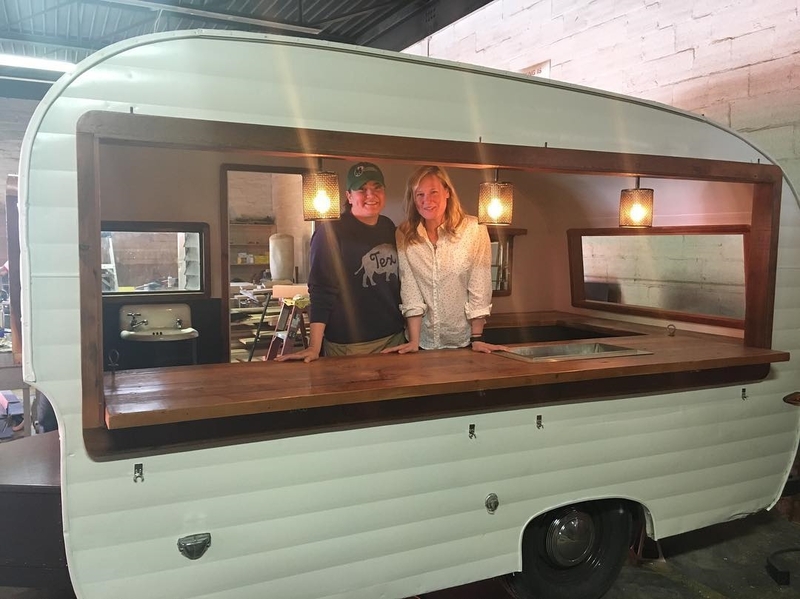 A Trio of Mobile Bars Is About to Hit Dallas Streets. There’s an old adage in the news world that three of anything makes a trend. And judging from the trio of upcoming mobile bar concepts about to hit the streets of North Texas, the 21-and-up crowd around these parts has yet another boozy new trend on its hands. In the coming months, Bar Cart Texas by Easy Slider, Trucky by husband and wife duo/French 75 bandmates Jencey and Cole Keeton, and a yet-unnamed concept by Photowagon’s Melissa Mackaly and Evan Tate (Tate Farms) will provide bar services for weddings, private events and, in some cases, travel throughout Texas. Rather than leasing a physical address, the concepts all use repurposed vintage vehicles that seem hand-picked from Antique Roadshow, such as a 1961 Forrester (Bar Cart), a 1969 Citroen H van imported from France (Trucky), and a refurbished horse trailer respectively. The trailers capitalize on the city’s infatuation with mobile businesses, while simultaneously providing the owners with an optimal level of flexibility. “The best thing is it can morph into whatever you can imagine — champagne bar, coffee bar, ticketing booth — the sky’s the limit,” Jencey Keeton says. Although the businesses function under a similar premise, the three concepts reflect different aspects of operating a mobile bar in Dallas. The first is the traditional model, represented by Bar Cart. As mobile food facilities are required to have a brick and mortar station, Easy Slider’s impending Deep Ellum restaurant fulfills the qualification. Second is the partnership arrangement, where a mobile business without a dedicated brick and mortar can team up with an establishment that is willing to provide the necessary services. This will be the route taken by Mackaly and Tate, via a collaboration with Double Wide’s Kim Finch. Finally, Trucky will take the hands-off approach, where the business runs as a private catering company where the host provides the drinks. Subsequently, the features at each not-bar will vary. For instance, Trucky will supply custom playlists for private events, and allow brands to customize the vehicle for an immersive experience. Bar Cart aims to utilize its sister business for the ultimate beer and food combo, something Holmes has referred to as “Sliders and Ciders.” And Mackaly and Tate’s love of all things Texas will be the crux of their offerings, with a variety of local and Texas-made beers and spirits. Currently, there is no category for mobile bars under food truck code compliance or state TABC laws, making one of the greatest challenges in the budding market is defining the nature of the business for permit purposes. Yet, despite city hall roadblocks, the existing demand gives hope to the trend’s ability to catch on. The irony is not lost on the owners that the three businesses are coming to fruition at the same time, as a joint party that celebrates the debut of the three mobile bars may be in the works. In the meantime, excited patrons can begin booking with Trucky starting in mid-May, or follow Bar Cart and Photo Wagon on Instagram for more updates. Hat tip to Amy McCarthy of Eater Dallas for first reporting the Bar Cart story. Previous ArticleThe Master And The Student.